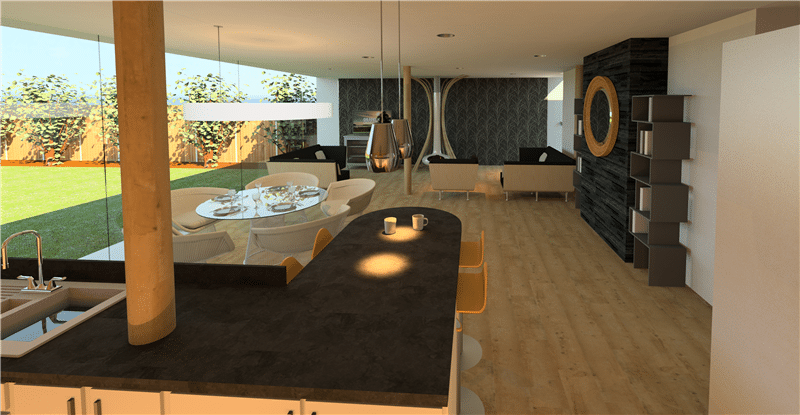 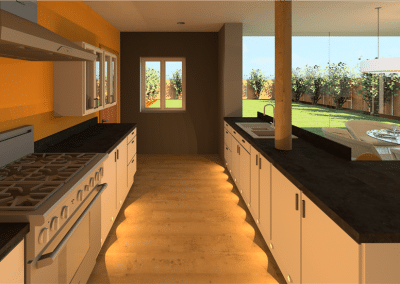 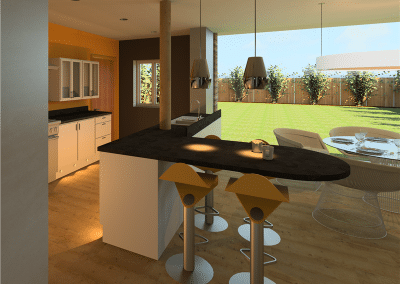 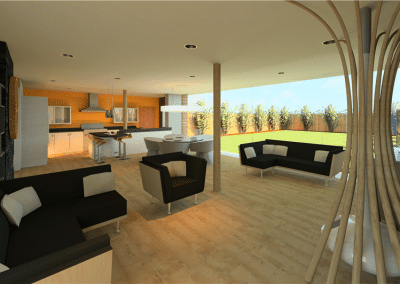 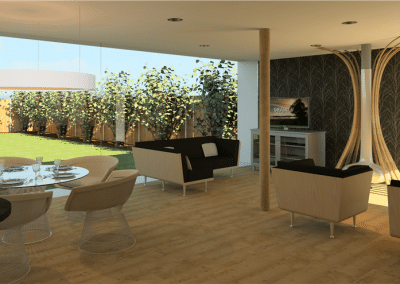 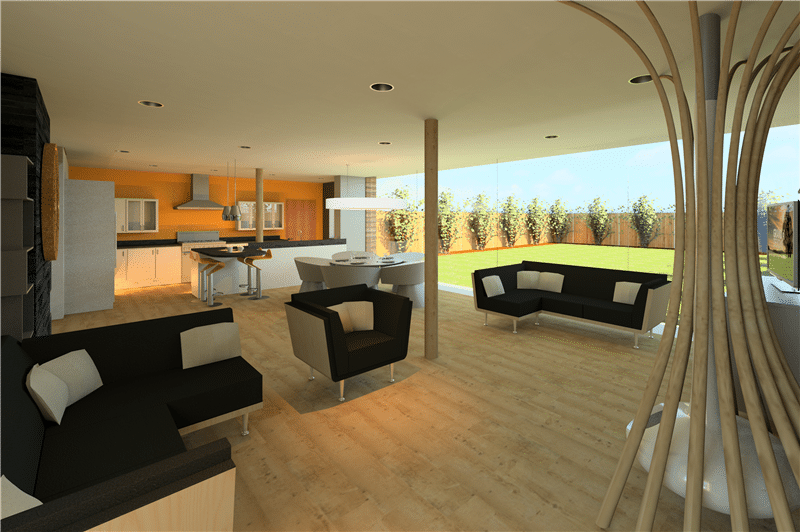 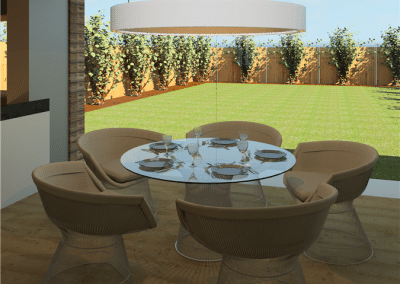 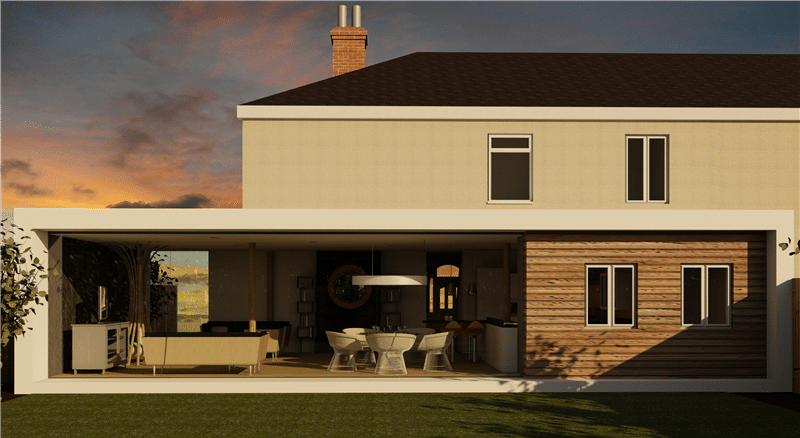 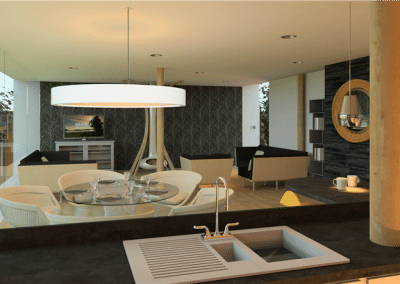 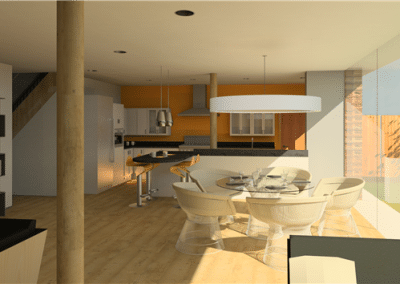 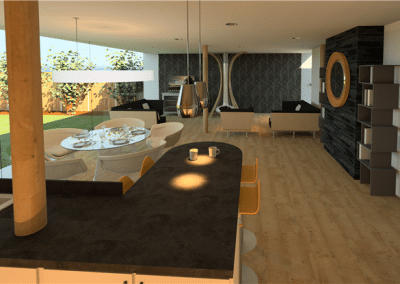 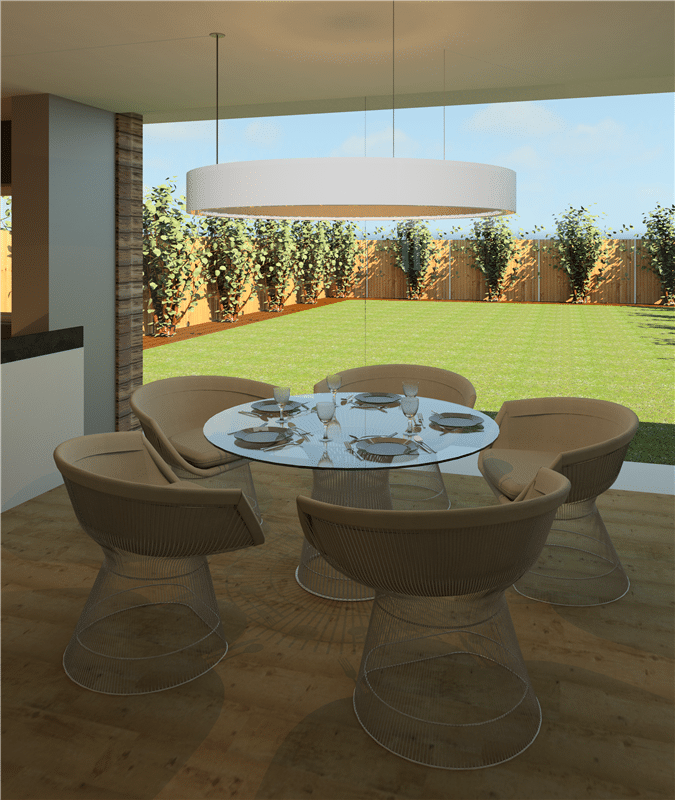 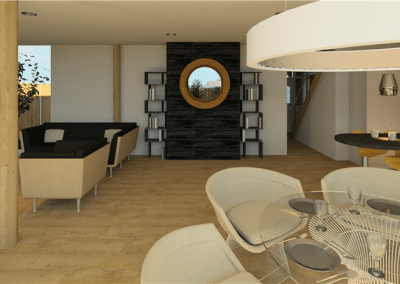 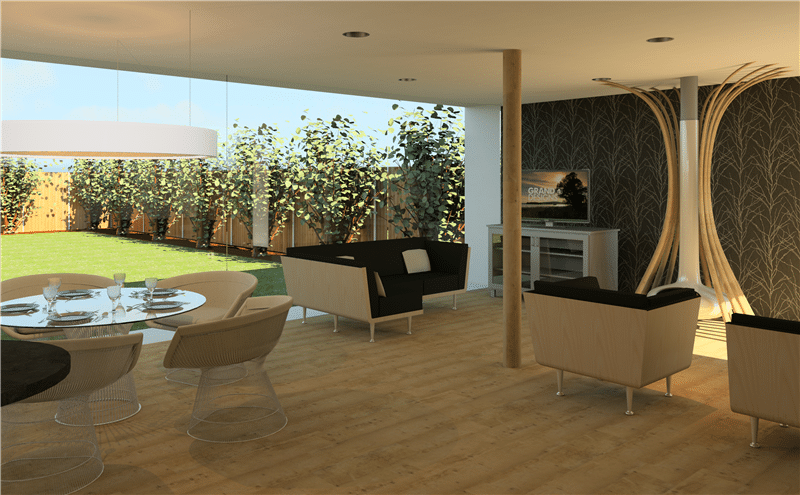 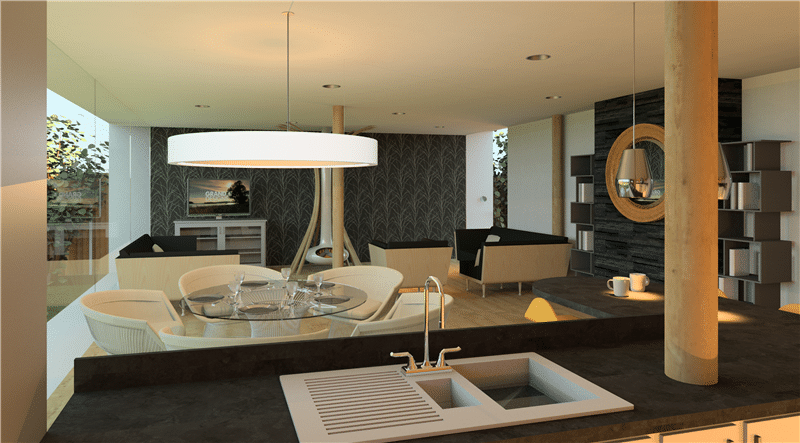 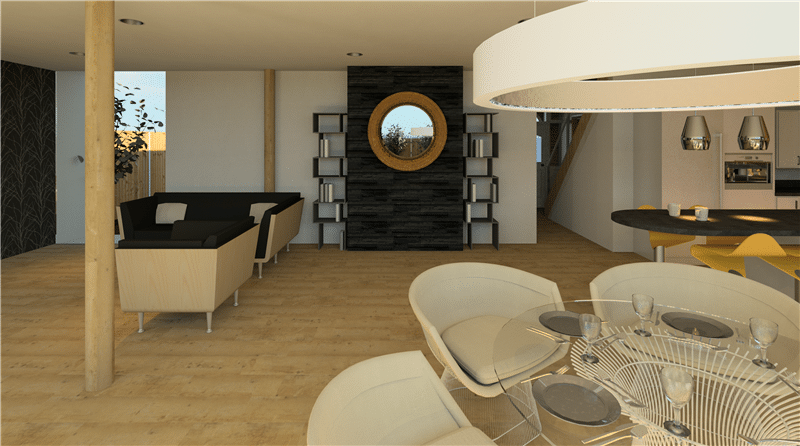 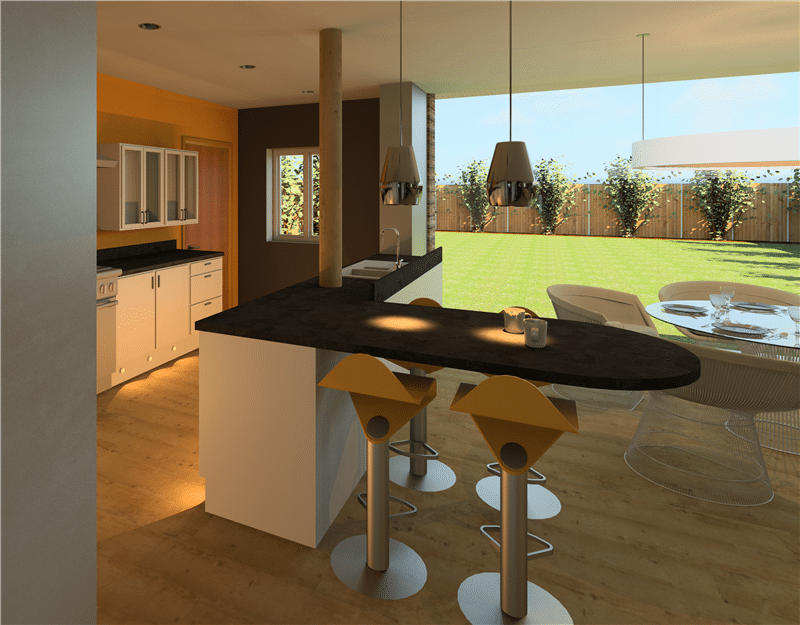 The client specified a modern, spacious design for their extension that would connect the dinning room, kitchen and 2nd living space together and this was our proposal. 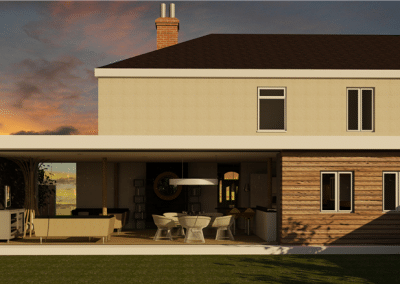 We understood that the client liked the use of timber and natural, sustainable products and wanted these to be used in the extension and so we have proposed natural timber cladding and have reused 2 sets of windows from the existing house. 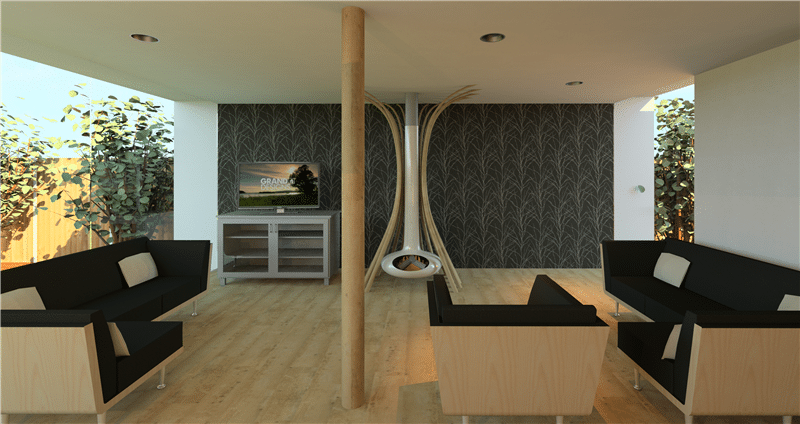 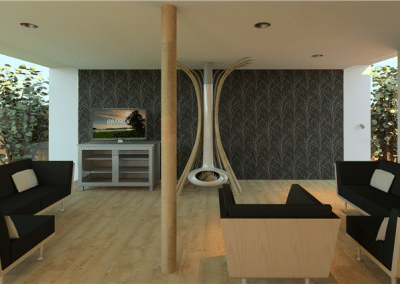 The floor also reflects that timber theme and we have specified our own design for a fireplace that connects the floor to the ceiling around the modern wood burner reflecting the idea of a tree reaching up to the ceiling.